Jilin Province, one of China's important agricultural provinces in the central part of northeast China, gets its name from the city of the same name in the province. It is situated at 40"52"-46"18" north latitude and 121"38"-131"17" east longitude, with an area of more than 187,400 square kilometers. The Baiyun Peak (the White Cloud Peak) of Changbai Mountains lying in the east of Jilin is 2,691 meters above sea level, which is the highest in Northeast China. Jilin has a temperate continental monsoonal climate. It is the climatic transition zone between the northern and southern parts of northeast China, with cold and long winters, warm, short and rainy summers, and a windy spring and autumn, with ever-changing weather. Jilin has a mean annual temperature of 2-6oC, and a mean annual precipitation of 400-800 mm. It is divided into 1 autonomous prefecture, 8 prefecture-level cities, 20 county-level cities, 18 counties and 3 autonomous counties, with a population of 27.28 million, of which 7% are from ethnic minorities, such as Korean, Manchu, Mongolian, Hui, Xibe and Daur. Jilin cuisine mainly features ginseng, bears' paw and other precious products. Yanbian cold noodles are known worldwide. Jiju, also named Er Ren Zhuan, is the typical Changchun art genre, a combination of local dancing, singing and oral literature. Jilin Province is called Ji for short, whose capital city is Changchun. The northwestern part of the province is a section of the Songliao Plain which teems with maize. In agriculture, Jilin is rich in maize, soybean, rice, sorghum and oilseed, the yield of beet is at the forefront in China, and the output of ginseng is about 80%. The traditional specialties are pilose antler, ginseng, marten, which are called "three treasures" in the northeast, an d Changchun ginseng cigarette, Jilin Sanbao wine, Tonghua wine, etc. It has abundant forest reserves, fertile land and vast grasslands. Mainly, the mineral resources are coal, iron, copper and gold. Its automobile industry occupies an important place in China. 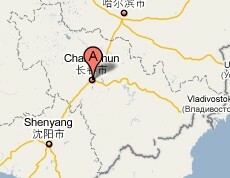 In Jilin, the railway and the highway are very convenient, and the railway is the main means of traffic. The Second-Songhua River is the chief water transportation, and the city of Changchun is the center of aviation. The world-famous Changbai Mountains, the source of the Tumen, Yalu, and Songhua rivers, are one of the most beautiful areas in China. Endowed with rich natural resources and charming scenery, the mountains are dotted with scenic spots. A nature preserve has been established here to protect the area's animals and plants. Together with the nature preserves in Wolong of Sichuan province and Dinghu Mountain of Guangdong Province, it has become a base for international scientific research into China's indigenous wildlife. Other scenic spots and historical sites include Jilin Songhua Lake and the Puppet Manchurian Imperial Palace Museum. The Korean ethnic group in Jilin has distinguished characteristics in terms of costume, architecture, and folk arts. The Koreans like athletic sports like football, wrestling, skating, springboard and playing swing. The women are fond of playing gangplank and swing. Football is especially popular among the Korean men, and Yanbian area has a reputation of the land of football. The Korean people are especially good at singing and dancing. The famous folk dances include the Tambourin Dance, Fan Dance, Carrying Water Dance, Sword Dance, Dance of Happy Farmers, etc. Cold noodles are their most popular food.